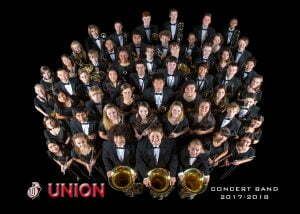 Concert Bands are the central focus of the band program at Union High School. They meet during the school day and perform at concerts and festivals around the region. Numerous additional playing activities are available for all students in any of our 3 concert bands! 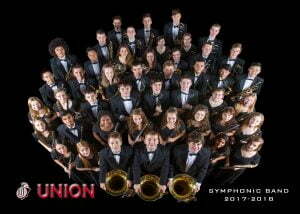 This ensemble is for advanced wind musicians and percussionists at Union. Membership in this ensemble is attained by audition at the end of the preceding year. 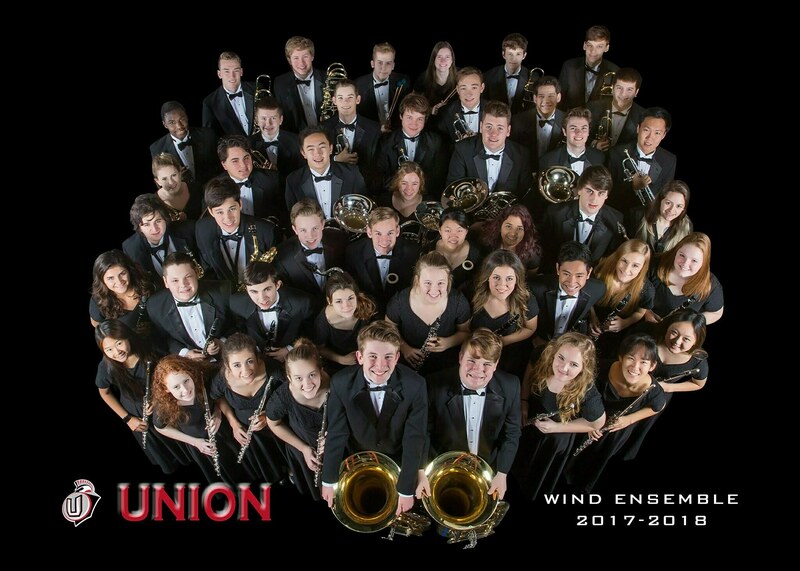 This advanced band class focuses on the development of musicianship through the study and performance of advanced and college-level wind literature. 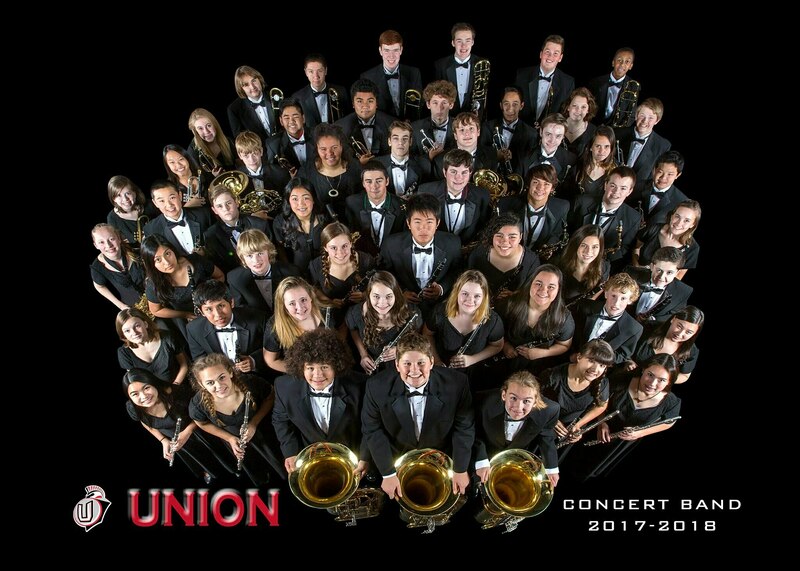 All students enrolled in Wind Ensemble perform with the pep band at all home football games, and participate in instrument choirs and other Solo and Ensemble opportunities. Standard Concert Dress is required for all students in this band. 1. Chromatic scale as listed on the PDF under Track 1. 2. Prepared etude(s). See Files page in Charms. 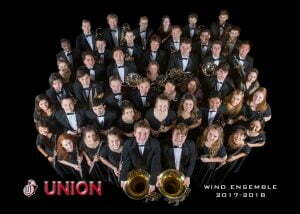 This ensemble is for developing wind musicians at Union. grades 10-12. This class focuses on the development of musicianship through the study and performance of intermediate level wind literature. 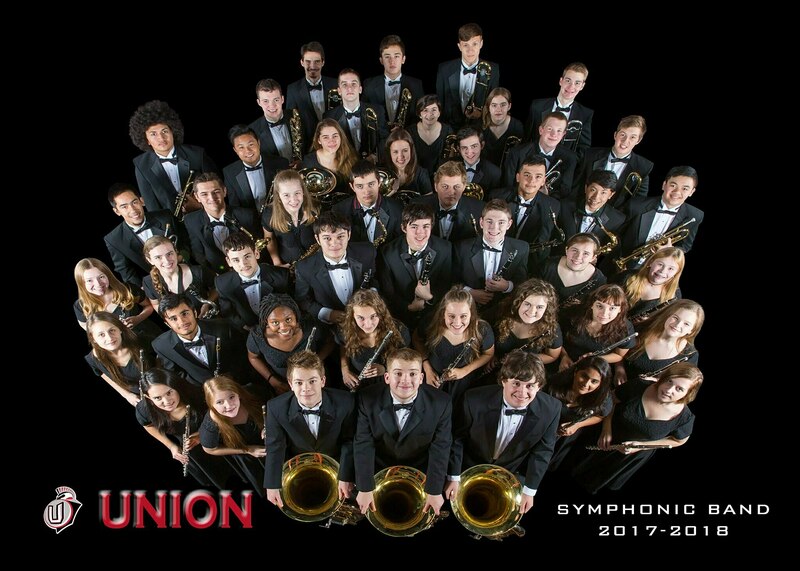 All students enrolled in Symphonic Band perform with the pep band at all home football games, and participate in instrument choirs. Standard Concert Dress is required for all students in this band. This ensemble is for 9th grade wind musicians at Union. This class focuses on the development of musicianship through the study and performance of intermediate wind literature. All students enrolled in Concert Band perform with the pep band at all home football games. Standard Concert Dress is required for all students in this band.